Drought tolerant perennial; full sunlight. 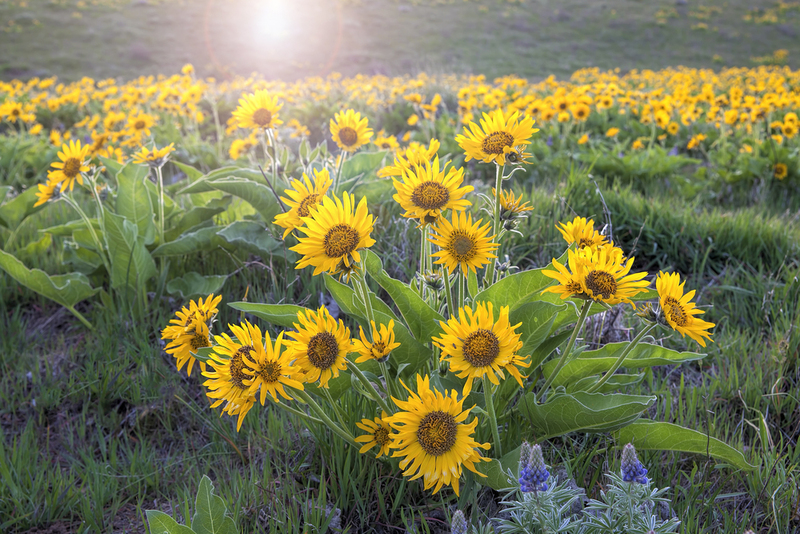 Showy yellow sunflower-like flowers bloom May to July along open hillsides, grasslands, sagebrush, or open pine forests. Leaves, stems and flowers provide valuable spring forage for bighorn sheep, deer, elk and pronghorn. Good pollinator species; seeds eaten by birds and rodents; may be an indicator of good sage-grouse habitat. Similar to B. careyana, but has larger flower heads, soft and silky leaves, and greater hairiness. Hybridization between the two species may also occur. Excellent restoration species.